Home » » MAN WHO PARKED HIS CAR AND JUMPED INSIDE LAGOS LAGOON IDENTIFIED. MAN WHO PARKED HIS CAR AND JUMPED INSIDE LAGOS LAGOON IDENTIFIED. The man who drowned after he reportedly jumped into the Lagoon in Lagos on Friday has been identified as a staff of the Federal Radio Corporation of Nigeria, the News Agency of Nigeria, NAN, reports. A staff of FRCN, who pleaded anonymity, told the News Agency of Nigeria that the deceased was a driver attached to an Assistant Director in charge of Information Communication Technology unit of the corporation. The source said that the deceased was newly posted from the FRCN Training School located in Shogunle to the Broadcasting House in Ikoyi, Lagos. The source, however, described him as a gentleman. Tunji Disu, Commander of the Rapid Response Squad, told NAN that his men got to the scene almost immediately and invited marine police and local divers who recovered the corpse from the lagoon. “The occupants were shocked as he dived into the Lagoon,” said RSS Commander, Disu, Assistant Commissioner of Police. RRS had earlier tweeted on its tweeter handle @rrslagos767: “A man has jumped into the Lagoon from 3rd Mainland Bridge. 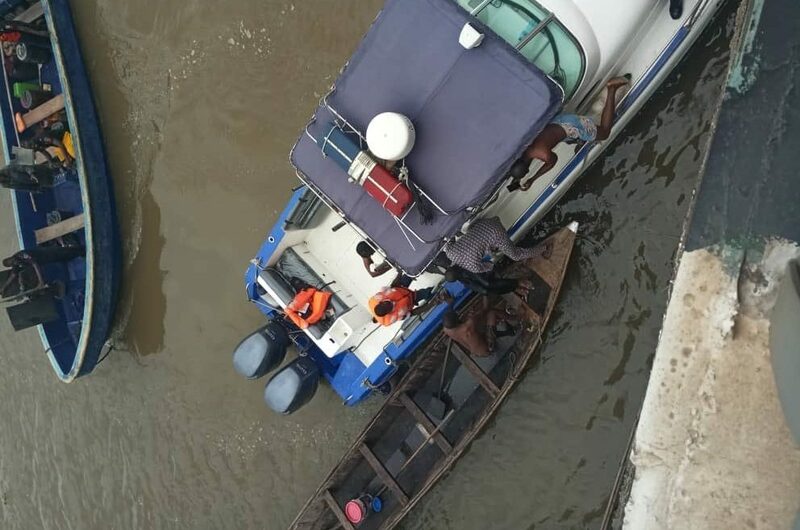 “RRS riders got to the scene almost immediately and radioed for assistance from the Marine Police, LASG rescue Boats & local divers, who recovered the corpse. NAN recalls that on October 3, 2018, a middle-aged man drowned after reportedly jumping into the lagoon from the Third Mainland Bridge inwards Lagos Island.